所有类别 - "Fight injustice against UPSC Civil Service Aspirants"
"Fight injustice against UPSC Civil Service Aspirants"
We would like to update you on our latest protest events, as we found some concrete outcomes. 1. For the 1st time, main-stream newspaper like The Hindu, Economic Times, etc published our issue in a proper manner. 2. Kindly check in our photos page about our latest protest photos. 4. Our next step is putting all sort of pressure during December winter session. Remember it will be very short session and need not go waste. Now next steps are very important and must go in our favor. Please keep in touch with us and come in large number to support us in future. We apologize for not providing daily updates, when many things were happening at the Parliamentary session. Let me brief you all, the events happened in this week and also our future strategy. 1. At Rajya Sabha, on 2nd Sept, Ram Vilas Paswan (LJP, Bihar) raised our matter. Follow below link. · Ram Kripal Yadav ( RJD, Bihar). a) On 4th Sept 2013 (Raghuvansh Prasad) through a Special Mention. · P.L Punia(INC, Barabanki UP). If anyone has video links of Lok Sabha debate on these specific matters, then please share it with us. We will try to circulate it to our supporters. From now on, if anyone has live TV recording settings in your setup-boxes, then kindly please record the Parlimentary proceedings, as it is hard to retrieve later. 3. We met Oscar Fernandes again, and he has scheduled a meeting with DoPT and Narayanswamy. This meeting may happen very soon as the session got over. 4. We have drafted a Memorandum, i.e. signed by more 40 MP’s, and will be forwarding it to PMO. But we are facing a problem here since most of MP’s have left to their constituency, as the session got over today. So we plan send this memorandum across to all our supporters (through email). Kindly get it signed by MP’s whom you can contact and send it to us. This would be a big contribution that a supporter can provide us. The day we submit this letter to PMO, we will organize a press conference and make it public. i.Protest Movements: Yes We Can! For one more time. But venue/date/time is not decided. ii.Media Pressure: Yes, through this we hope to build some strength to our movement. We are also hopeful of some TV media interviews with our volunteers. 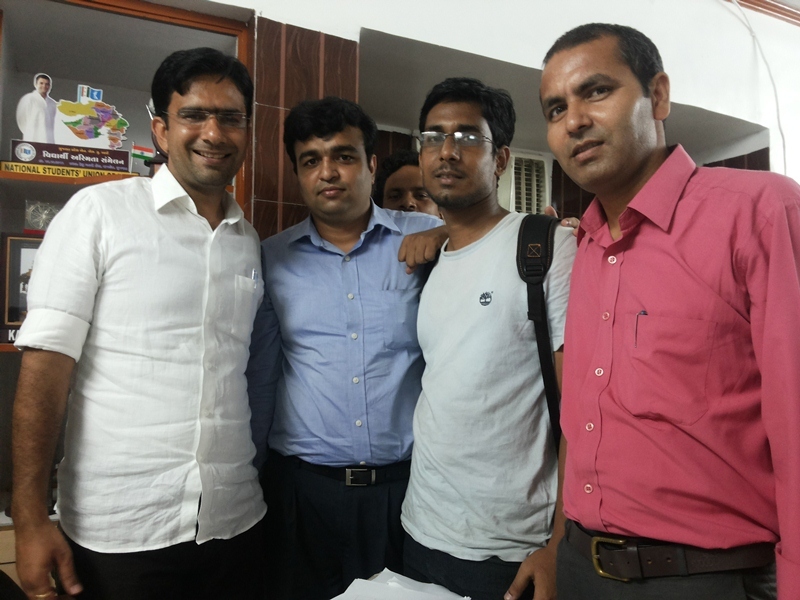 iii.Legal Battle: Yes, we have met few advocates, who have earlier fought against UPSC, and we hope to file PIL/SLP soon. Currently our volunteers want to take a break till Monday and after that we will properly strategize our legal battle. We require proper guidance/help in this approach from our supporters. Please suggest us. This approach can surely provide us the fruits, provided we have patience, money and hope. Kindly send us any documents which you feel will justify our claims. Let me explain you all that coming days are not easy, as we may not hit the headlines daily. We need to sustain the movement in this crucial phase. We will try to circulate the messages as early as possible. 1) As some of you are aware, yesterday on 2/Sept/2013, Ram Vilas Paswan in Rajya Sabha, has raised the issue of Age/Attempt Relaxation in UPSC Civil Service Examination. 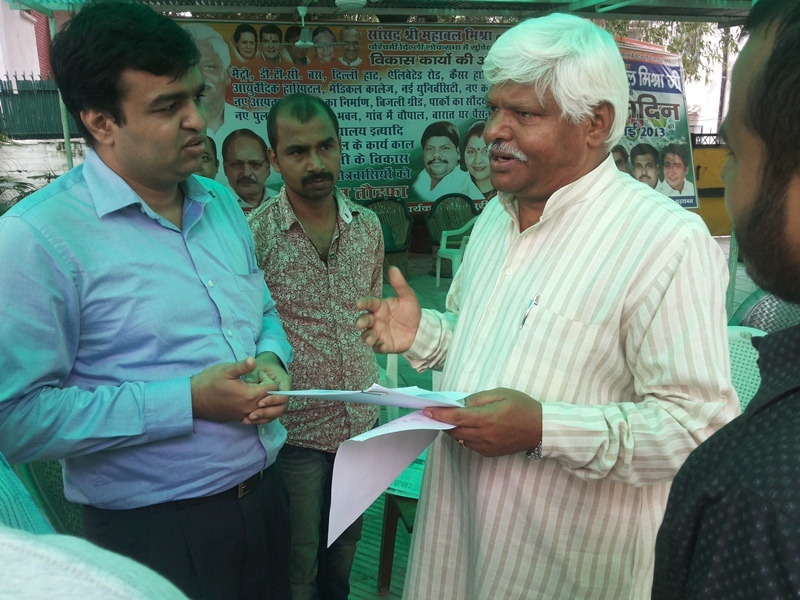 2) Yesterday, our Volunteers had an appointment with V. Narayanswami, but unfortunately it didn’t take place. Meanwhile, today we are again trying to reach him. We will be able to brief you on this by tomorrow. 3) Yesterday, our Volunteers met Oscar Fernandes (at late nightJ). He has listened to our case. Let us see what influence he will create on this matter. 5) We have time till this session gets over. Afterwards, we are going ahead with Legal action, but it will be very time consuming and costly affair. We need lot of help, when we undertake this strategy. 6) Our Offline Signature Campaign format is ready and uploaded. Kindly take a print of it, and fill the details. Also, circulate with your friends who have not submitted online, and once you are done, kindly scan it and send it to fightupsc@gmail.com. (Please avoid repetitive entries. Those who have uploaded scanned signature need not fill this form). Through this way we would like to reach our offline supporters, candidates who don’t want to upload scanned signature and various coaching institutes in other parts of the country. 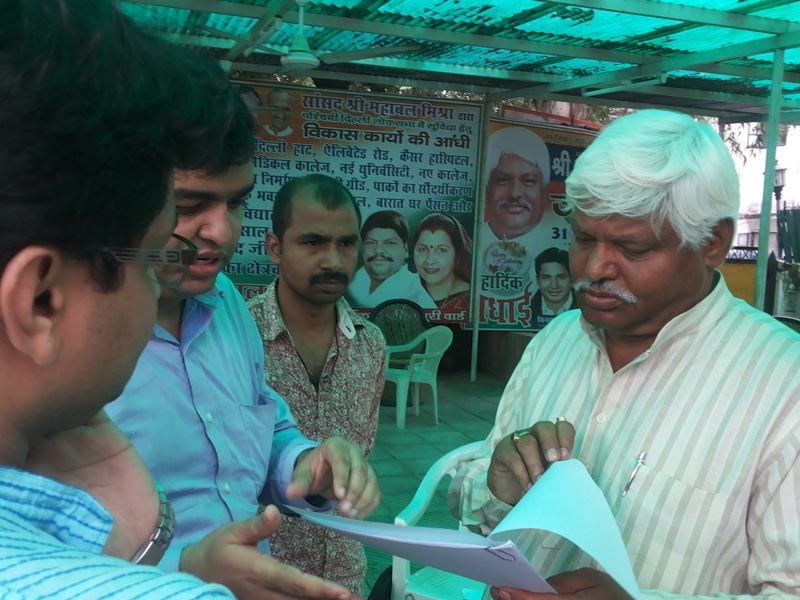 1) Our Delhi volunteers in two groups have met few MP’s today (D.Raja, Sitaram Yechury and some new MP’s). Around 15-20 MPs have agreed to support Zero Hour discussion. But as some of you might know that zero hour questions are chosen by a procedure like lottery, among a bunch of questions, without prior notice. These questions are of issues of public importance. Therefore, to have our questions picked, we need many zero hour submissions. So we will soon upload English / Hindi format of zero hour question. Kindly take the print out of this, and request MPs, to whom you are able to contact, and ask them to place it during Zero Hour submissions. You can email them to your MP’s if you feel he/she will regularly check inbox. If we are successful in having a few minute of parliamentary discussion, then it’s indeed a great achievement. After this Ministry will provide some assurance which it has to fulfill at any cost. 2) We have received lot of signature submitted through our Online Form. Thanks all for your participation. By next Wednesday, we place our entire support base to the concerned Ministry (DoPT and UPSC). Through Offline mode, we have got good number of signatories. But they are mostly from Delhi. So to broaden our support, we will upload a signature campaign form. Kindly take print out of this and circulate to your nearest Civil Service Aspirants, Coaching Institutes etc and request them for their support. Once you are completed with this exercise, kindly scan and send to fightupsc@gmail.com or fight_upsc@googlegroups.com. 3) In 2nd ARC report, it is clearly mentioned to provide lead time after Prelims and Mains changes are implemented. Met three MP's for the day namely, P N Singh (BJP), Varun Gandhi (BJP), Raghuvansh Prasad Singh (RJD) despite parliament session was extended today. They have agreed to raise the matter in Zero Hour / Question Hour. But only time will tell when they will raise the question. We have received an email from PS of P N Singh after our representative met him. Read below. Much awaited signature campaign has begun. Read our letter to MP's, which will be forwarded to them in the coming days. Supporters are requested to sign the letter by filling the form. Kindly tell all the registered/unregistered members to undertake this signature campaign. b) DoPT meeting was successful. They have listen to our claim. But didnt gave us any hope for positive outcome. We guess, DoPT needs to pressurised through a Parliamentary Discussion and a court notice. We are a group to civil service aspirants, voluntarily contributing to demand Age/Attempt relaxation in Civil Service Examination.